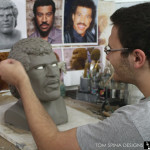 Our tribute to the iconic Lionel Richie Hello sculpture. 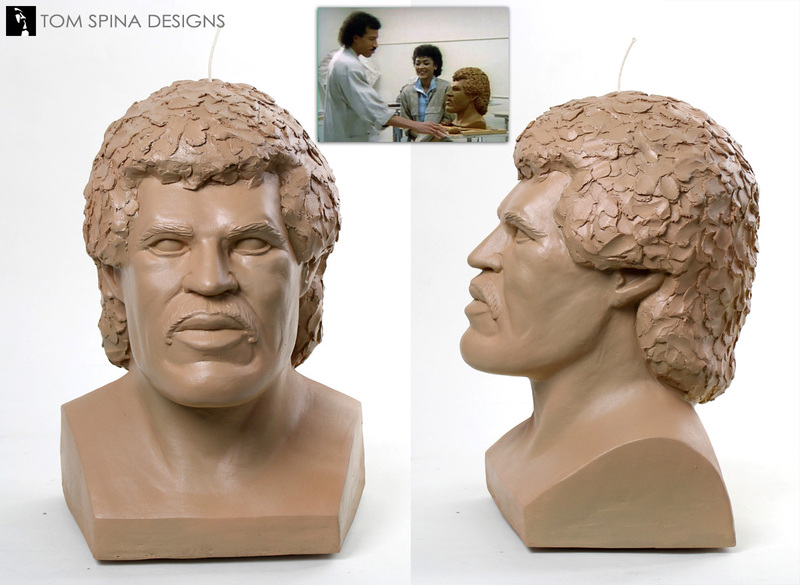 The classic Lionel Richie Hello sculpture – a bust based on the music video where a blind art student presents the artist with his own head in clay. 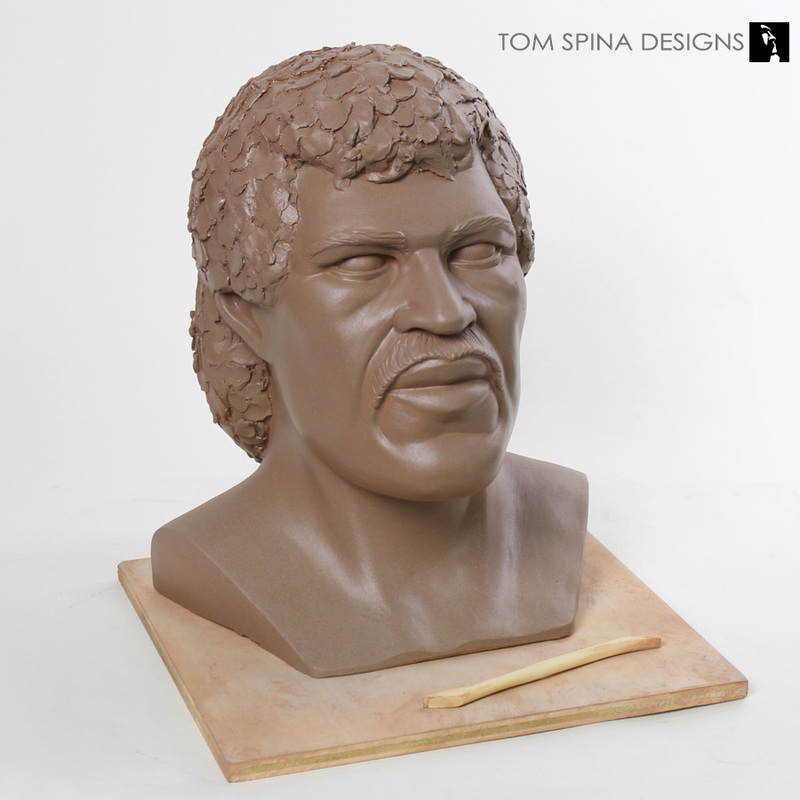 This is a somewhat intentionally goofy likeness as the 80’s music video prop was certainly not a highly realistic sculpture. But it sure is fun! 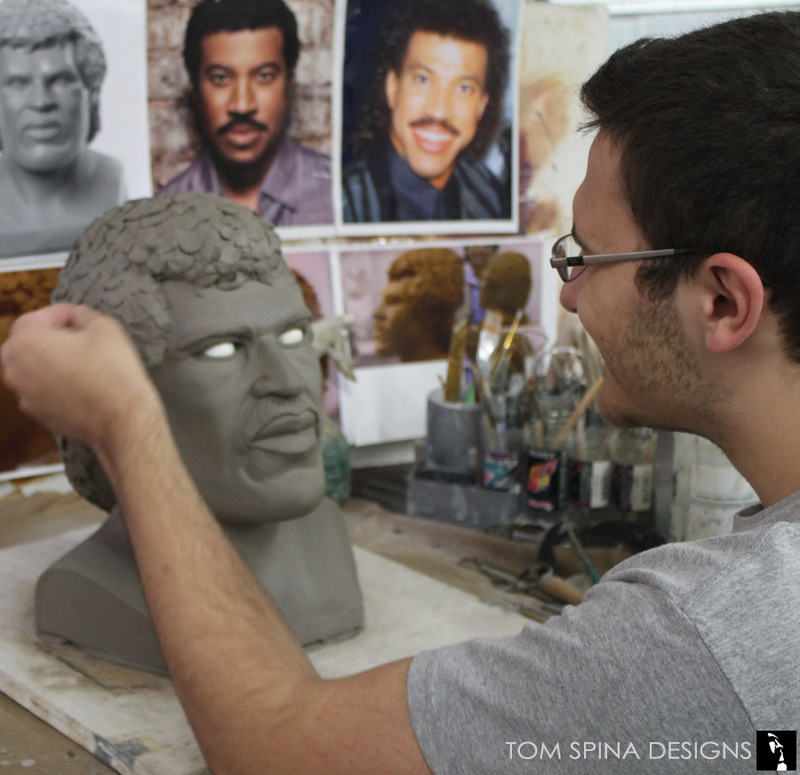 We’ve actually sculpted this iconic Lionel Richie head twice! 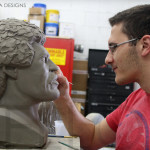 The first version was created for a fine artist who wanted a life-sized candle of the blind-student-sculpted bust. 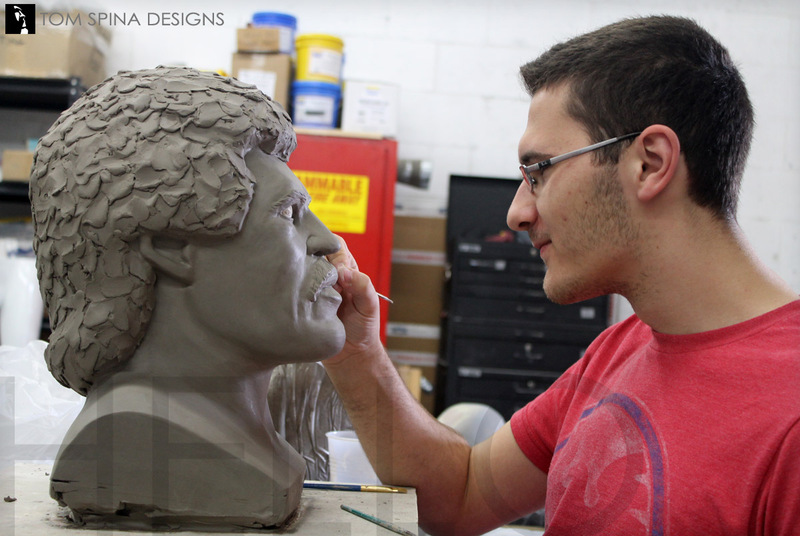 We created the custom sculpture and molds for them (and you may notice that one image shows a copy of the sculpt with a candle’s wick on top!). 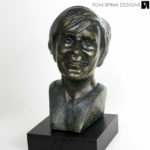 While the wax version isn’t for sale through our site, the second version is a resin bust, ready to display in a client’s home. 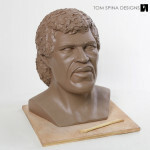 This one also looks just like the clay bust in the film, and the resin (which is a bit like fiberglass or plastic) is foam filled and painted to look like a clay sculpture. 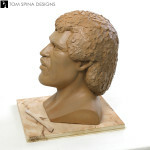 It’s a completely new sculpture, though similar, of course and we mounted that to a weathered sculpting board with a wooden sculpting tool standing by. 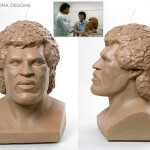 It was created to be a very special gift to an 80’s music and pop culture fan. 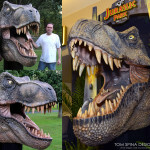 We’d have loved to have seen the look on his face when he opened up this! 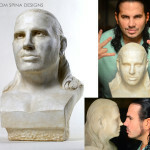 Both sculptures were very fun projects! 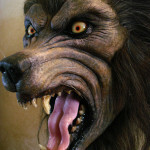 Looking for a unique art piece for your home, office or man cave? 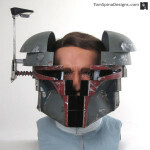 Is this the song you're looking for? 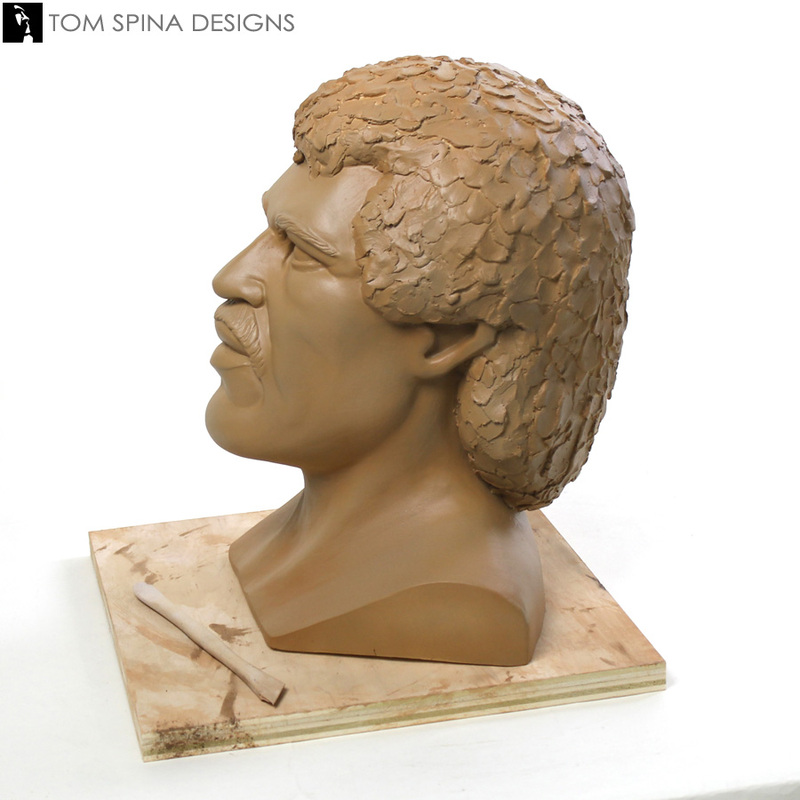 Download it now and relive the 80's!